I have been, since two Christmases ago, somewhat obsessed with doll clothing. I spent an entire holiday season bringing together an awesome collection of hand-made vintage Barbie clothing via eBay for our seven-year-old as her Christmas gift, and the following year (this past Christmas), she received an American Girl doll. Between the two, I spend more time than I’m likely to admit thinking about doll clothing–how to make it, how to make it so SMALL, and what wardrobe staples the various dolls might require for their busy schedules. 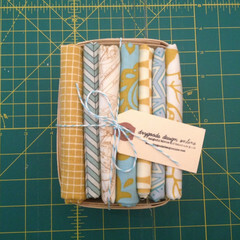 So when I was asked to be part of the My Rag Doll blog hop, I was pretty excited. I generally avoid doing too many giveaways here on the blog, and I legitimately want to ensure that every book or product that I review is something I really like and think is well-made and worth investing in; since I had already agreed to do two other book reviews this spring, you KNOW this book has to be pretty great for me to have added it to the list. And it so totally is. The author, Corinne Crasbercu, is an accomplished fashion and costume designer who also works as a stylist for Marie Claire magazine. She has a keen eye and a very clean style, which I love. The whole book feels very European–sweet and innocent, but also sophisticated and chic. 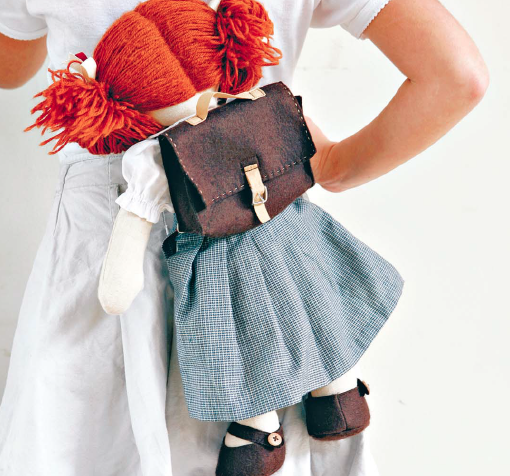 These are the type of dolls I remember growing up with–I was born in Germany and lived there until my fourth birthday, and my earliest memories (like my Kindergarten doll) are of beautifully crafted toys, handmade with care and love. These dolls are those toys, all dressed up for our own children. The book includes patterns for the doll, with instructions for making a blonde, brunette or a red-head (I think we can all guess which one is my favorite–ginger FTW! ), along with all the sweet outfits to dress them in. And oh! Are they dear! Gah!! Can you STAND it??? Totally precious–without being too twee, you know? These are cutesy-gooey dolls, these are sweet and classic dolls, and their outfits are perfect for re-telling old tales or making up fresh new ones. I suspect they would even be awesome for puppet theater. My kids would be ALL OVER that. As the owner of quite a large selection of sewing books, I can honestly say that I can see this one becoming a title I’d take off the shelf over and over, and use again and again: my girls are of the perfect age for making a zillion variations on these sweet patterns, and my oldest is likely to have children of her own before our littles truly outgrow their doll years (the oldest and youngest are 15 years apart, after all–though the thought of having children at home and being a granny at the same time makes me want to think about something else super badly). I could easily riff on these designs for another 15 years, and never exhaust the possibilities. And you, sweet people, have the opportunity to win a copy! Simply leave a comment here before midnight on April 23, 2014 and you could win a copy of My Rag Doll. 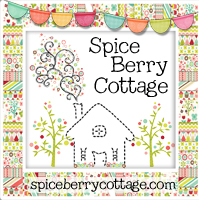 The patterns are clean and clear and easy to use, and the designs are so classic and lovely. I know you’ll tab and mark and wear out the pages sewing with it. Winner will be chosen at random from all the comments left by the time the giveaway closes. 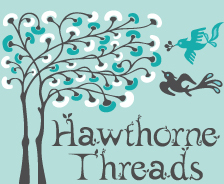 Follow More of the Blog Hop! Those dolls are unbelievably cute. I would love a copy of the book! I am at that strange age that, when I hold other people’s babies, I realize I’m closer to being a granny than to having one of my own. 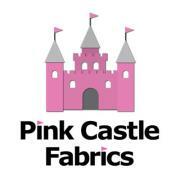 I have done my fair share of quilting, but I know my niece would love one of these! I wonder how difficult it is to sew something so small? I wondered the same thing! 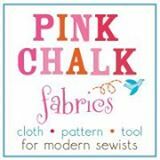 The book gives you lots of techniques to use–you really can skip a lot of the finishes that you’d have to do on a garment for an actual person, which makes the sewing simpler. And her patterns are so well-drawn that it simplifies the entire process. 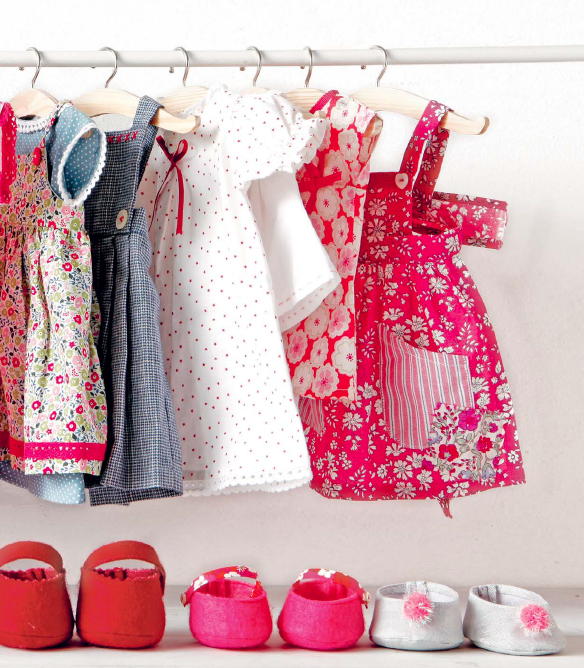 Our girls are going to love the dolly wardrobes they’ve got coming! These dolls are the cutest rag dolls I have seen since I was a little girl in the 40’s. Just beautiful. My friend just had a little girl — I’d love to win this book! Would love this to make my 1st great-grand daughter one of those precious dollies for her 2nd birthday! Thank you for rhis wondwrful opportunity! So lovely. I want to make one for myself! Thank you for adding this review. These are the sweetest looking dolls I have ever seen. I would love to make a few for my grandaughters to play with at my house. Those really are adorable without being saccharine! I’ve got a 2 year old in the family that would love to have a new dolly & some clothes made for her. My daughters and nieces would eatthese up! So lovely. Would be thrilled to win. Adding to my wish list. I would love to win this book! These dolls are so sweet! Oooh, no boy dolls in this one, but what a great idea!! We demand a follow-up with boy dolls, yes?? I absolutely love this! I’m so excited! This doll is incredibly precious! I can imagine my 8yo and my 4yo both playing with one. Oh, I used to make cloth dolls several years ago (20 yrs to be exact), and also did a little porcelain doll making class, but sweet cloth dolls were always my favorite! These are the sweetest I’ve ever seen! I would totally buy this book if I don’t win it here! I have 2 granddaughters who would love them, and I’d keep some for myself! Love this doll. I would love to learn to make it. I love the redhead in the red hood! Actually, cross that, I love all of them! 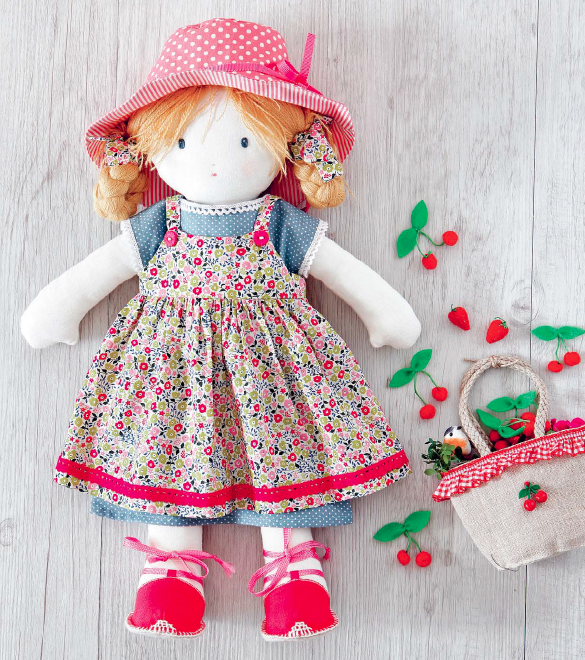 Would love to have the pattern to make this adorable doll for my granddaughter Nellie. I think my toddler would love to have a homemade dolly with customizable clothes! I’d love to win this book. Oh my!!!!!!!!!! This is so sweet and adorable!! 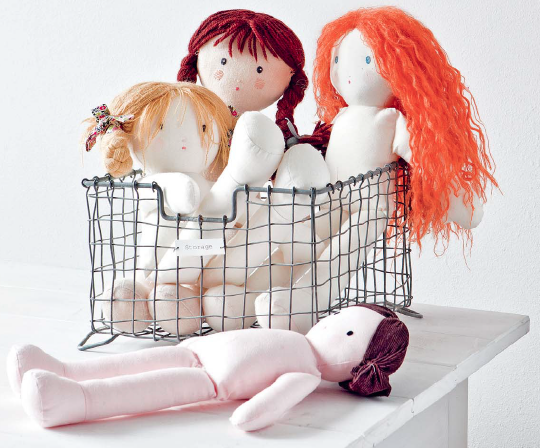 I would love to make some of these dolls and clothes for my nieces – so sweet! When I was a teenager I got every Anna craft magazine I could get my hands on (lived in Japan at the time; they weren’t around in the US as far as I know), and in that German magazine were dolls incredibly similar to these that I really wanted to make! They are so beautiful; I would love to win a copy of this book to make these for my daughters and myself. Thanks for the giveaway. They completely make me think of my early childhood in Germany–I could not love them more. So excited for this book to be available! The dolls are adorable, and I’d love the chance to win the book. Such cute dolls! Would love the book, thanks for the chance! These dolls are ADORABLE!!!!! So cute! Would make my Grangirlie lotsa lil friends & clothes…& shoes!! My goodness! Such fun!! These are seriously some of the most adorable dolls I have ever seen and I would love to make them for the children of friends and family! Thank you for the chance to win! Aren’t they GREAT?? And so timeless!! That is so adorable! I still have my Raggedy Ann, which is much nicer than the recent ones. This looks like a great replacement for a little girl. I agree! It doesn’t seem that something as simple as a rag doll could have gotten LESS innocent over the years, but somehow, marketers have taken the charm out of even that. So sad. Much better to hand-make and treasure forever, I think! Thanks for a great giveaway. I had a Red Riding Hood cloak for my doll she nI was little and I would love to make one of these form my niece. Oooh ! Lovely styling and photos. Looks like a great book. I love the idea of making tiny clothes. I am pretty sure I could manage to make a little guy from those ones….Anyway, thanks for letting us know about this book. hop hop hop, in the wishlist!!!! Haha! You’re probably right–all I can see are those cute little dresses, though!! She needs a friend to play with, like Madeline had Pepito. These dolls are adorable! I’d love to make a hundred of them!! I keep getting more and more little girls in my life! These would be perfect presents. 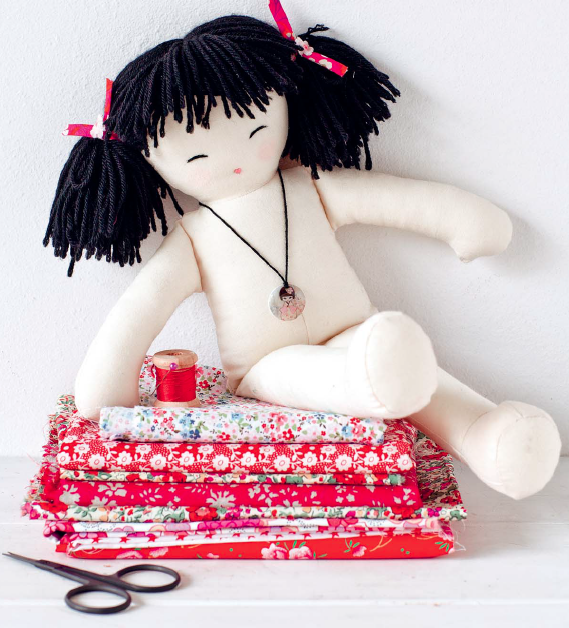 These dolls look so cuddly, I hope I win, would love to make some for some little friends! What fun! I’d love to try making a doll for my little one. I would love to win a copy of this fabulous book! Haha! Wouldn’t we all! Pura vida! So darling! Would love to make these for friends and their children. Perhaps I could even alter the patterns slightly and make one for my son – a doll that looks like him. The dolls are so cute! My daughter would love them. Ok, me too! My daughter would be all over this, I probably wouldn’t be able to make anything else for a year, except dolls. These are adorable. I would love to make one of these for my niece. 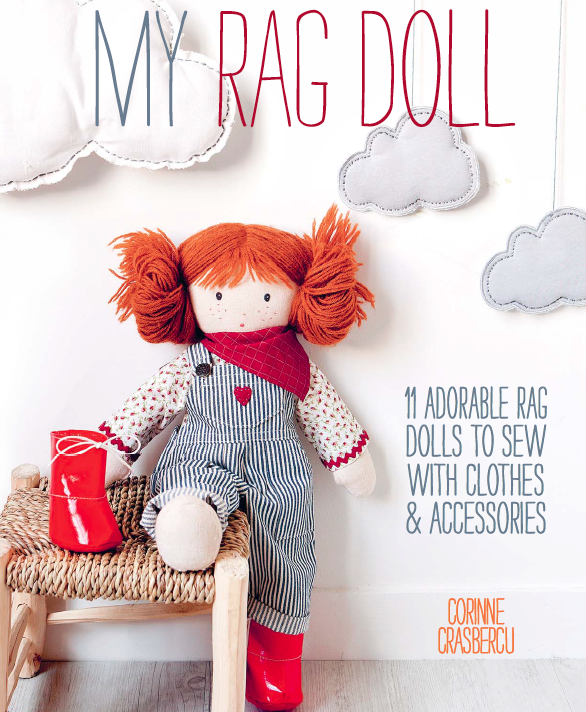 Looks like a wonderful book with lovely, detailed dolls….I haven’t made a doll since my girls were small….but now have lovely little granddaughters that would love these! I would love to mKe a doll with clothes and accessories for by three years old daughter and the patterns in this book are beautiful. Thanks for the chance to win a copy of the book. I need to make my daughter a rag doll! These are adorable! Thanks for hosting! Oh, my. These little cuties make me want to squeal and then sit down and make them for a special little girl. I’ve enjoyed making a few rag dolls in the past. These look cute and fun. Those little shoes! That back pack! Gorgeous. What a lovely book with such a selection of precious dolls. This certainly does look like a book worthy of a giveaway on your blog! I am so excited about this book, I cannot tell you! I can see myself becoming as obsessed as you (hey, you said it!) about making dolls clothes and styling them. I had one very similar as a girl so the making of a doll (or ten) would be quite nostalgic as well. I bought each of my grandaughters a Raggedy Ann Doll when they were born. These would be so much fun to make and add to their collections. Very girly and sweet. Thank you for sharing. thanks for the chance to win! They are so cute! These dolls are sooooo cute I would love to receive the book! Thanks for sharing! I love all those little details! My little one has just started getting into the doll phase. I’d love to surprise her with some new doll clothes! This book looks wonderful. My daughter is just getting interested in sewing, and she would LOVE this book. Thanks for the awesome giveaway. Oh, this looks like such a sweet book, I would love to win! Thanks so much for the chance, I can see myself trying my hand at so many of these sweet girls! I would love to have a copy of this book. I am at the age where my nieces are having daughters, and these dolls would be perfect for them. I think the doll clothes are almost more fun than the dolls themselves! I’d love to be entered. I know some small people who would love a rag doll! On another note I’ve been catching up on your blog. Your bathroom is going to haunt me. (And give me the giggles in equal measure!). Thanks a million for reading!! This book looks awesome. I really want to make some dolls for my kids. I’m so sorry to hear that! I don’t know this author personally, but I would suggest contacting her or contacting Stitch, Craft, Create (her publisher) for more information on the pattern. Hope that helps!